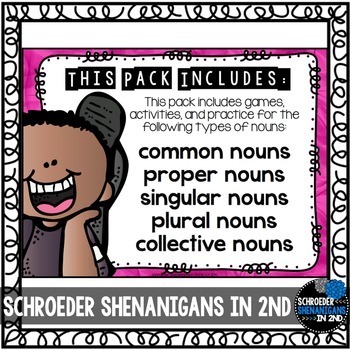 This hands on noun practice pack will have your students sorting singular, plural, common, proper, and collective nouns in a version of BANG! 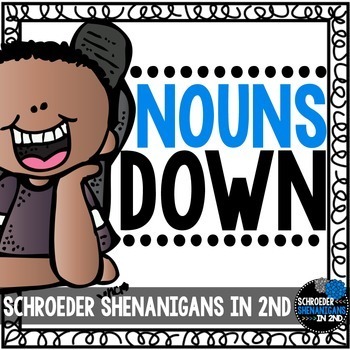 called Nouns Down! Students will identify and sort nouns into the proper category while playing a hands on game. 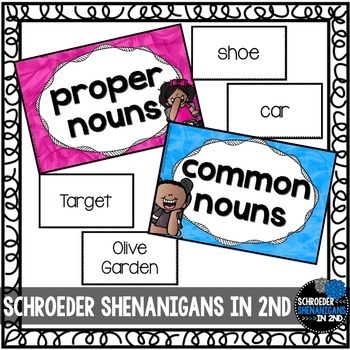 This activity may be differentiated by including all 5 types of nouns in each game or by limiting it to 2 types of nouns per game, depending on your students' needs! 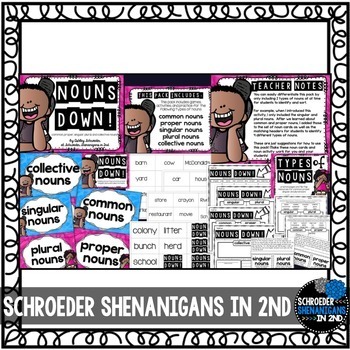 There is also a sheet of blank cards for you as the teacher to add your own nouns to your version of the game in your classroom! This pack also includes noun flip flap books (that can easily be used as interactive notebook pages as well, and practice pages. Some of these resources are also BUNDLED- . . .